Love this! 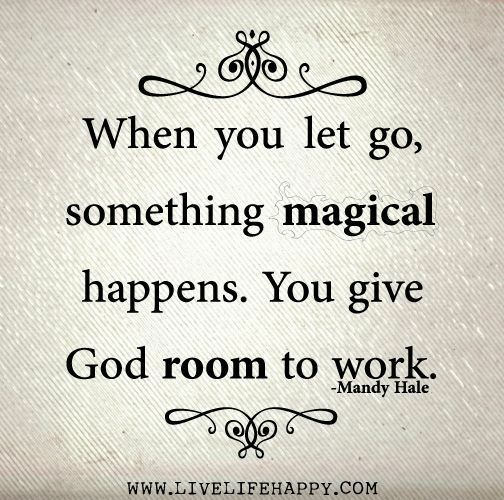 When we let go of the weights holding us down, we give God room to work in us. What a beautiful thought! Recently, I found myself obsessing a bit over a situation, and when I prayed about it for the fiftieth time..I sincerely felt this one message..”Let go-I’ve got this.” I actually can feel when even my prayers take on this possessive, controlling quality- it’s weird..like I’m ordering something.. I finally just said..thank-you Lord, I know you’ve got it..and let it go.